I like eating chicken. And write blogs, too. I freak out when I see books dealing with cooking and food and anything related to it. 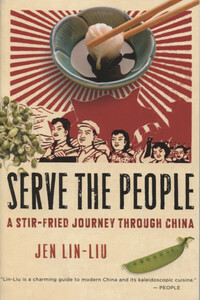 Just yesterday, I bought a book Serve the People: a Stir-fried journey through China by Jen Lin-Liu. She has a journalism degree in the United States but went on to become a chef or a restaurant owner in China, i think. I have not fully devoured the book but it is very interesting and funny. She is very witty. 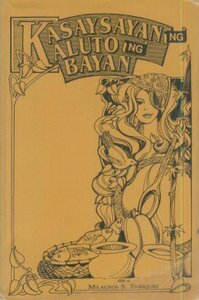 What I am looking for is the book Kasaysayan ng Kalutong Bayan written by Milagros Enriquez. I came across her book in the internet when I was looking for old recipes and the food served during historic occasions in the Philippines. In the internet, the last post selling reprint copies of this book was a 2009 multiply account. I checked some libraries but the book is not available. I am still hopeful that I can find a copy. Thanks Gracy Gray for your comment. I got interested with blogging to practice my english. 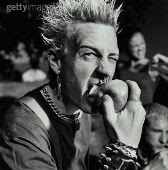 I have a feeling that it never improved since I started blogging. But as they say, practice makes perfect. =) Thank you very much. "There is no technique, there is just the way to do it. Now, are we going to measure or are we going to cook?"